Despite Brexit, Trump’s victory, and the lamentable loss of David Bowie, Prince and George Michael, 2016 has been culturally rich. 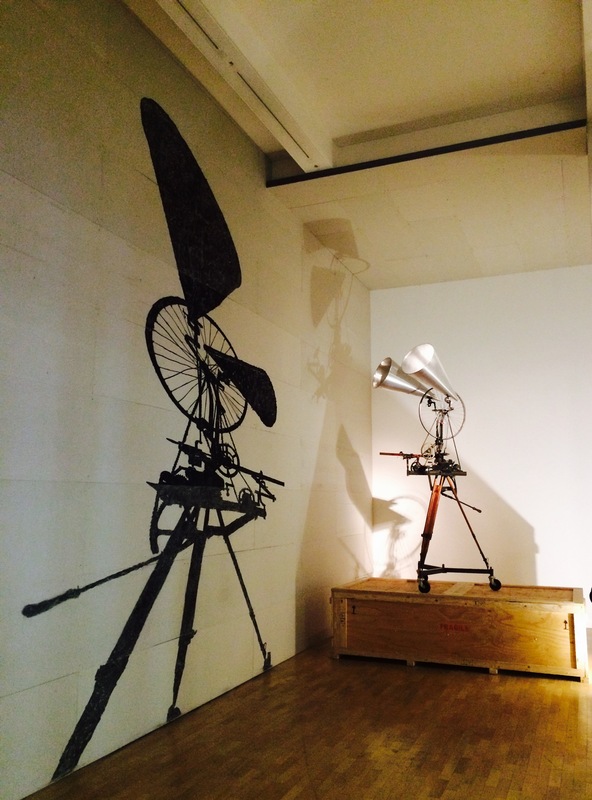 It has been a joy reviewing such a plethora of exhibitions across London, Europe and further afield – and it feels odd to now be writing my final piece of the year, but equally a pleasure to end on a high with William Kentridge’s ‘Thick Time’ exhibition at Whitechapel Gallery. The gallery’s spaces are utterly transformed by the South African artists’ six large-scale immersive installations, all recall early cinematography and theatre but explore different themes from the concept of time, to colonialism, revolution, exile and politics (with a notable interest in his native apartheid). Upon entering the darkened space you are greeted by his first creation – a metal megaphone powered by bicycle parts, with its silhouette painted onto the wall behind it. A mechanical cog and churning noise lures you further into the exhibition where you are immersed into a black white projected film of a procession containing choreographed dancing figures who move across each wall of the gallery. Beyond this, Kentridge’s imagination and creativity are palpable in an animated dictionary containing illustrations which evolve with the turn of every page, a mechanical and puppet inspired opera, and even the staircase which cleverly contains a male figure created from black electrical tape up each step! Hand woven tapestries depicting horses galloping across ancient maps of southern Europe, a tribute to French filmmaker George Melies where seven different films exploring the directors experiments all play simultaneously in one room (some played in reverse), and a satirical take on Trotskyist Russia depicting a secretary taking dictation from a megaphone against a backdrop of political slogans all add different layers to the fascinating world Kentridge has created for visitors to explore and moreover get lost in!